As Nuclear Abolition Day is approaching, Peace Museum Colorado wants to know - What Are You Doing for it? 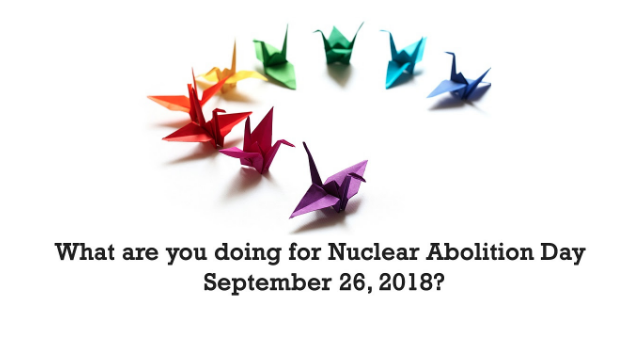 Please click here to read information about Nuclear Abolition day, and to seek options for YOU to make a difference! 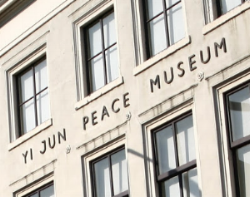 "As an educational organization, Colorado Peace Museum's volunteer contributors research individual, collectives, organizations, and institutions in Colorado and around the world that have taken courageous actions to create a Culture of Peace. Such indivduals are identified, researched and awarded the designation of Peace Hero"
The International Network of Museums for Peace recently put out their latest newsletter about Waging Peace Exhibition at War Remnants Museum in Ho Chi Minh City, Vietnam. "Austrian novelist, Bertha von Suttner, is a well-known international peace activist. She was the first women to receive the Noble Peace Prize. Bertha was born in Prague (Austro-Hungarian Empire) in 1843. She studied music and languages"
"At Yi Jun Peace Museum in The Hague. In the past few years, the hall has been renovated and made suitable for museum purposes, thanks to the generosity of the government of the Republic of Korea." 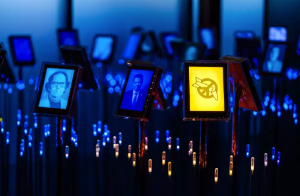 "Every year since its opening in 2005, the Nobel Peace Center in Oslo celebrates the new Peace Prize laureate with its own exhibition. Ban the Bomb is the title given to the exhibition celebrating the award of the 2017 Nobel Peace Prize to the International Campaign to Abolish Nuclear Weapons." "For the Hiroshima Panels in Higashimatsuyama, Saitama Prefecture, Japan, houses the world’s most important art works depicting the horrors of the atomic bombings of Hiroshima and Nagasaki." "The 9th conference was successfully held in Belfast, Northern Ireland, 10th – 13th April with the participation of some 140 presenters and delegates from 22 countries from around the world." "A Short History of the International Network of Museums for Peace (INMP) on its 25th Anniversary (1992- 2017) – Also a Tribute to its Benefactors, Donors, Sponsors, and Volunteers." "Opened its doors in the American capital in September. Constructed on the popular National Mall, the museum is the latest addition to the Smithsonian, the world’s largest museum complex. The museum’s authorisation in 2003 followed a determined campaign, lasting fifteen years, by Congressman John Lewis, a veteran of the civil rights movement of the 1960s." "Cambodia is a remarkable story of resilience, surviving nearly three decades of conflict including civil war, genocide, occupation by foreign forces, and a legacy of landmines that continue to plague the country. Violence is only one part of the story. Cambodia is home to many peacebuilding initiatives and peacebuilders who have contributed to the current stability and relative peace."